The mask is an object found in almost every culture in the world. While in the West it has lost most of its symbolism and ritualistic significance, in other societies it still retains a powerful aura: shamans wear animal masks during rituals to invoke the spirits; warriors wear lion masks to gain strength and courage. 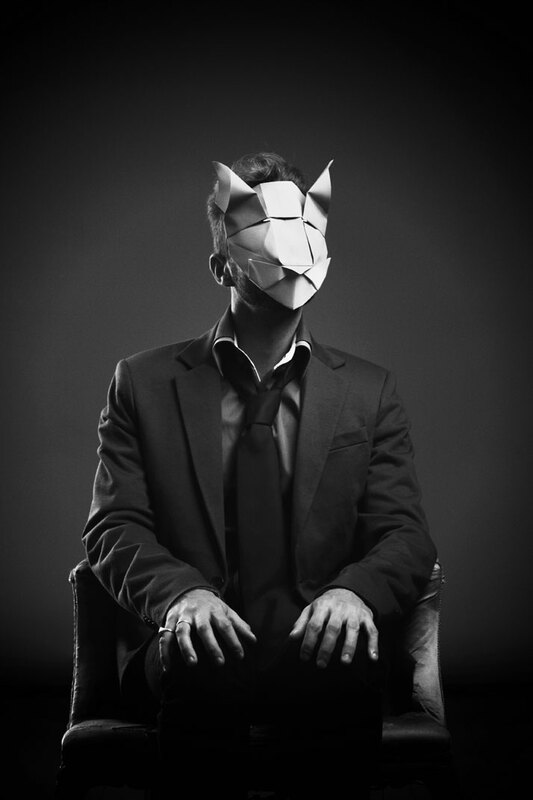 But what happens when, in a gesture that transcends cultures and traditions, modern-day urbanites don animal masks that have been made using the traditional origami technique? 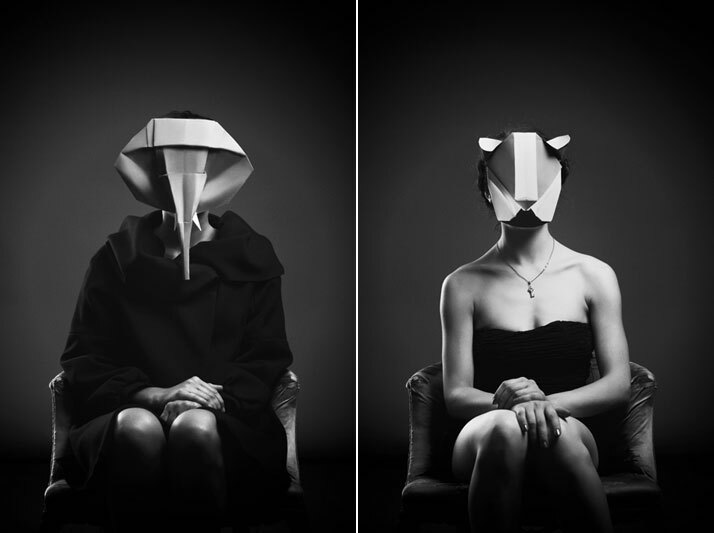 Puma Origami mask folded by Francesca Lombardi, designed by Roman Diaz. 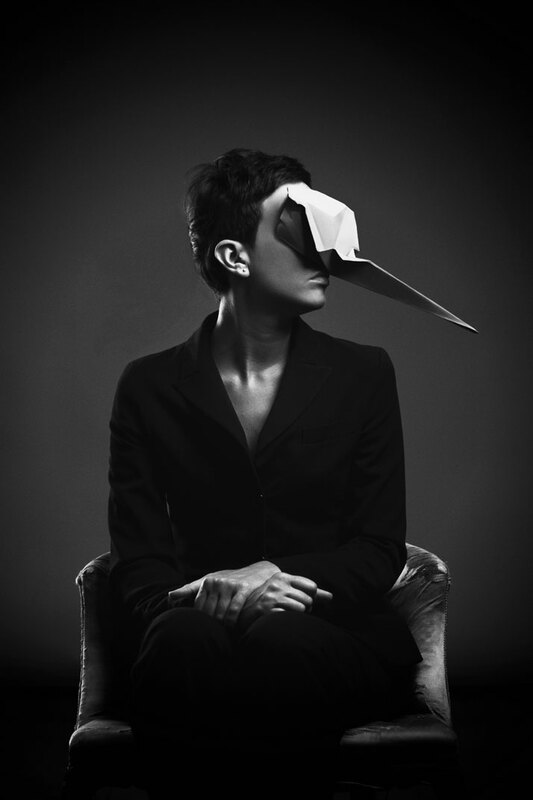 Fashion photographer Giacomo Favilla and designer-origamist Francesca Lombardi’s recent collaboration is full of some very subtle and delicate meanings. 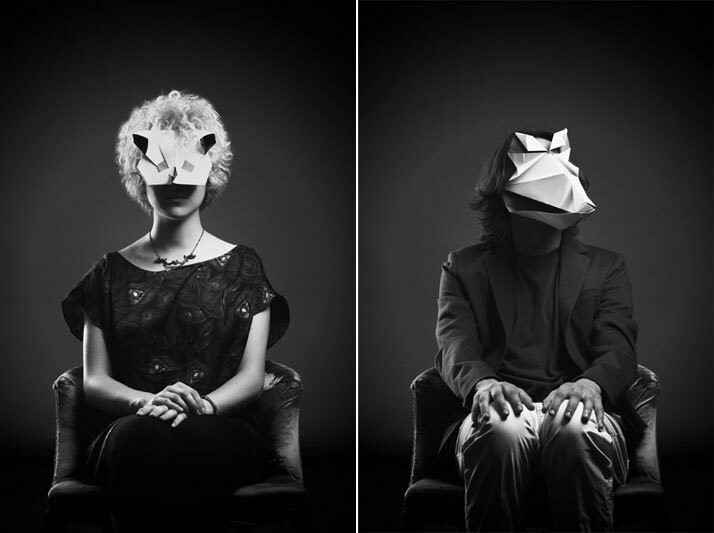 Titled ‘‘One of Us’’, the project consists of black and white portraits of people sitting in a vintage armchair, while wearing beautiful origami masks. 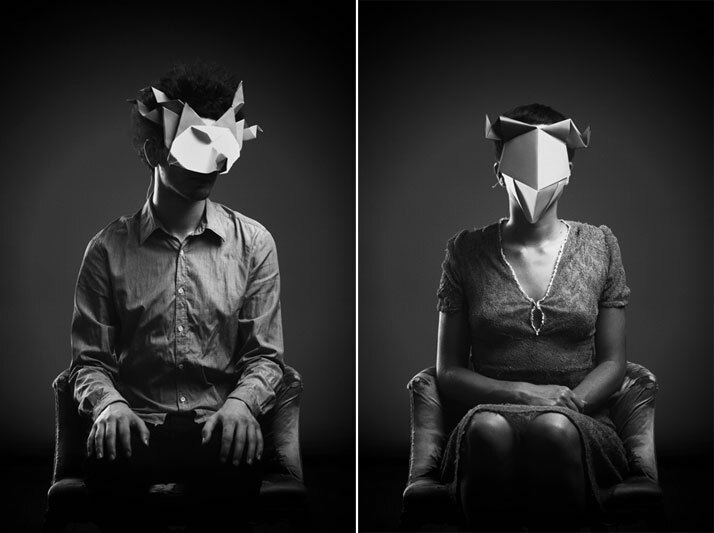 With the intention creating an impression of an imaginary world, where animal and human natures blend together as one, each mask has been laboriously folded over and over again to resemble a different animal. 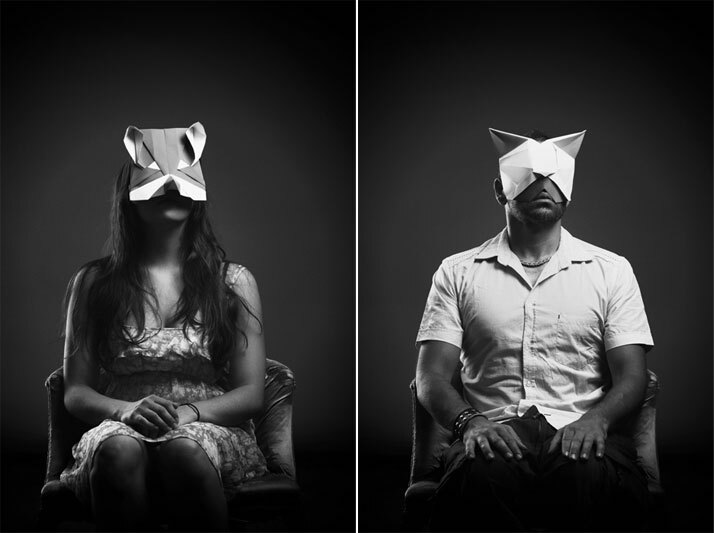 Be the animal a puma, a rabbit, a crocodile or a cat – they all take their turn in ‘‘being the face,’’ be that temporarily, of a person sitting to have their photo taken where their most striking feature is the fact that they have no eyes – they are in fact stylised blindfolds in the shape of animals. 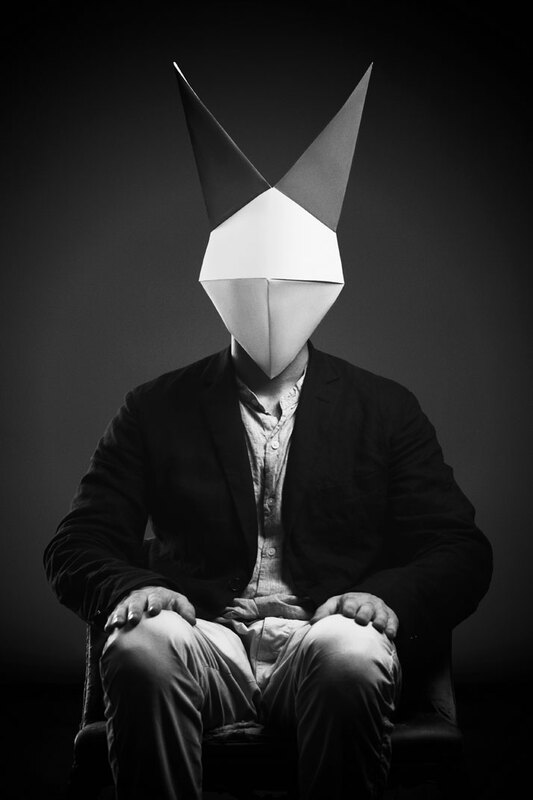 [YatzerTip]: The project ‘‘One of Us’’’ will be presented as an exhibition, along with more work from the same two artists, from 28 November 2013 to 16 February 2014, at The Book Club, 100-106 Leonard Street, Shoreditch, London, EC2A 4RH.